Seven doctors from the Department of Ophthalmology and Visual Sciences were named to the 2015-16 Best Doctors in America List in adult and pediatric ophthalmology categories. Barbara Blodi, MD, Gregg Heatley, MD, MMM, Mark Lucarelli, MD, and Neal Barney, MD were named on the list in adult sub-specialties, along with Yasmin Bradfield, MD, Burton Kushner, MD and Terri Young, MD, MBA in the pediatric sub-specialty category. 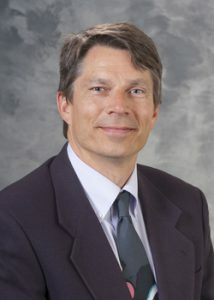 They join nearly 200 other UW Health physicians who are listed. 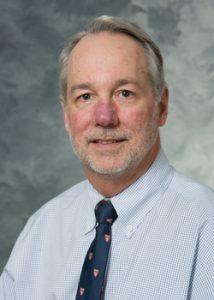 Dale Gregerson, PhD, from the University of Minnesota School of Medicine, was the keynote speaker for a successful Spring Vision Science Research Symposium sponsored by the Department of Ophthalmology and Visual Sciences. 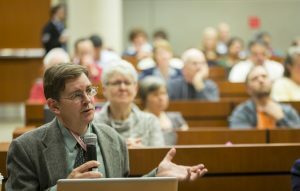 The April 1 event, which featured talks by more than 20 researchers. 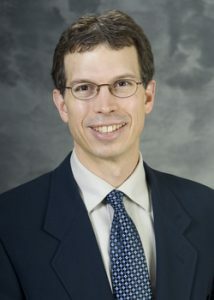 Presenters from the University of Wisconsin School of Medicine and Public Health, The Medical College of Wisconsin, University of Iowa, Northwestern University, and the University of Minnesota shared research in four main areas: Epidemiology, Retinal Disease, Glaucoma and Optic Nerve and Inflammation. The 2015 Spring Vision Science Research Symposium was supported by the Department of Ophthalmology and Visual Sciences Dr. George K. Kambara Ophthalmology Education Fund. Dr. Umang Mathur, Medical Director of the Dr. Shroff’s Charity Eye Hospital, in New Delhi, India visited the University of Wisconsin Department of Ophthalmology and Visual Sciences in May 2016. During his Grand Rounds lecture he spoke of the special challenges in the delivery of eye care in India. Eighteen million citizens are blind, 27-30 million have low vision, yet 80% of blindness in his country is curable or preventable. 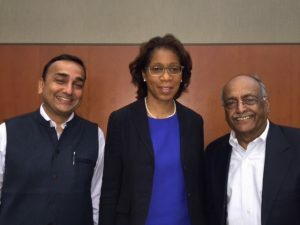 “The irony is that international patients are flocking to Indian hospitals for luxury care at a more affordable cost, while the rural and urban poor have limited or no access to even basic primary care,” he commented. Dr. Shroff’s Charity Eye Hospital, founded in 1914, addresses this need with a community outreach – hub and spoke approach. The Delhi-based hospital is the tertiary institution and center of excellence, supported by 4 secondary hospitals and 20 visions centers. The Eye Hospital focus is providing quality ophthalmologic care to the almost two thirds of the population that require subsidized or free eye care. Dr. Mathur attended a dinner hosted by the Madison Ophthalmologic Society, and also met with the staff of Combat Blindness International- an organization that partners with the University of Wisconsin Department of Ophthalmology and Vision Sciences to provide free eye care clinics here in Madison to an underserved clientele. Dr. Mathur and his colleagues at Shroff’s Eye Hospital welcome our senior ophthalmology residents each year for an educational exchange that began in2008 and includes a cataract surgery rotation. The study, “Angiopoietin receptor TEK mutations underlie primary congenital glaucoma with variable expressivity,” was published in The Journal of Clinical Investigation on June 6, 2016. 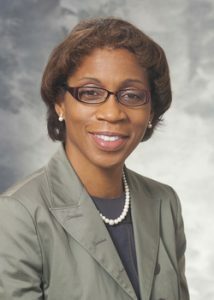 Dr. Terri Young, chair of the Department of Ophthalmology and Visual Sciences, is the senior author of the study performed at the UW School of Medicine and Public Health, and Stuart Tompson, PhD, a lead author of the study, is a UW associate scientist and a member of Dr. Young’s research team. 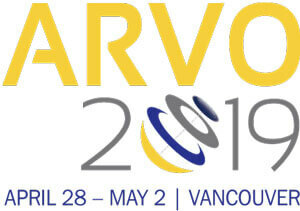 The discovery was presented at an international vision research conference, the Association for Research in Vision and Ophthalmology, May 2016 in Seattle. In a study published in the Proceedings of the National Academy of Sciences, a University of Wisconsin-Madison research team pinpoints how immune abnormalities beneath the retina result in macular degeneration, a common condition that often causes blindness. 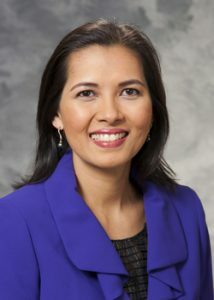 Aparna Lakkaraju, an assistant professor of ophthalmology and visual sciences in the UW School of Medicine and Public Health, focused on two protective mechanisms that are compromised during the gradual onset of macular degeneration, which degrades and can destroy the central vision needed to read and recognize faces. In a study performed with colleagues Li Xuan Tan and Kimberly Toops, Lakkaraju focused on two protective mechanisms: the protein CD59, which regulates complement activity when attached to the outside of RPE cells; and lysosomes, spherical structures that plug pores created by the complement attack (a function that Lakkaraju’s team first detected in the RPE). The inflammation in the RPE damages mitochondria, structures that process energy inside all cells. This could eventually lead to a decline or death of the photoreceptor cells, once they are deprived of their essential housekeepers. The result is the loss of central, high-resolution vision. Lakkaraju pursued her research in RPE cells isolated from pig eyes, and in mice that lack a protein — a deficiency that causes an inherited form of macular degeneration called Stargardt disease. 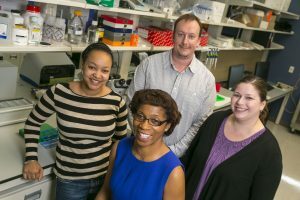 Crucially, her study identified an enzyme that is activated by excess cholesterol in the RPE, which neutralizes both protective mechanisms, and found that drugs used to treat depression neutralized that enzyme and restored the protection — and the health of RPE cells — in the mouse model. 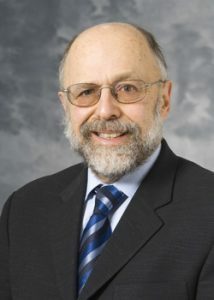 Epidemiological studies by Ronald and Barbara Klein, also at the UW–Madison Department of Ophthalmology and Visual Sciences in the UW School of Medicine and Public Health, have linked long-term use of some of the same drugs with a decreased susceptibility to macular degeneration. “There are several FDA-approved drugs that inhibit aSMase. We found that the antidepressant desipramine, administered to mice in their drinking water, restored CD59 on the cell surface, decreased reactive oxygen species, and prevented mitochondrial fragmentation. “My lab is interested in the earliest stages of macular degeneration, because we cannot reverse the loss of RPE and photoreceptors,” Lakkaraju says. A patent application for the idea of preventing macular degeneration by blocking aSMase has been filed by the Wisconsin Alumni Research Foundation. The research was funded by the National Institutes of Health (grants #R01EY023299 and #P30EY016665), Research to Prevent Blindness, Retina Research Foundation and other sources. In August, ophthalmology and veterinary ophthalmology residents from throughout the country came to the Department of Ophthalmology and Visual Science to learn cataract surgery. At what may be the longest consistently running Phacoemulsification course in the country, attendees at the Department’s Multiphasic Phaco Course learn about all aspects of Phaco in a three-year, progressive course that includes both lectures and wet lab practice. The goal of this course is to prepare ophthalmology students and residents to begin their Post-graduate Year (PGY) 4 cataract rotations with a sound basis in medical knowledge and skills to maximize their cataract training experience. The University of Iowa and Medical College ofWisconsin are partner institutions, bringing their residents each year as well as providing lecture and lab teachers. Veterinary ophthalmology residents come from UW, UC Davis and a variety of other veterinary programs from around the US. In 2015, the University of Kansas began sending their PGY 3 medical ophthalmology residents and this year also provided faculty. “Our course is different from all the other Phaco courses because we have three different, level-appropriate sessions, covering the needs of beginning students and those at a more advanced level.” Said Andrew Thliveris, MD, PhD, Vice-Chair, Resident Education. The course gives our learners a one-on-one experience that will give them a jump start for the upcoming year’s training,” Thliveris notes. Phaco 2016 provided cataract training to 47 residents and medical students with the assistance of 31 volunteers who serve as faculty. 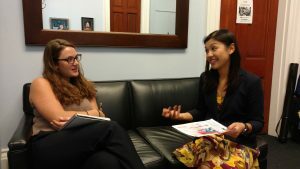 UW School of Medicine and Public Health Department of Ophthalmology and Visual Sciences Glaucoma specialist Yao Liu, MD, recently returned from Washington, DC where she was an invited presenter at the Emerging Vision Scientists Congressional Reception at the Capitol building on September 14-15, 2016. Liu talked about her tele-ophthalmology initiative and the importance of funding vision research. Tele-ophthalmology uses specialized eye photos to detect eye disease in primary care clinics among patients with diabetes. These photos are then sent electronically and reviewed by eye specialists. The results are communicated to the patient’s primary care provider who refers patients with abnormal findings to local eye care providers. This type of diabetic eye screening provides rapid, high-quality eye care at low cost. It is currently available in the UW Specialty Clinic at Mile Bluff Medical Center in Mauston, WI where primary care patients can obtain eye screening on a walk-in basis. Liu was one of 22 young vision scientists invited from across the country. Her project seeks to identify and address barriers to using tele-ophthalmology in rural health systems. This work is funded by the National Institutes of Health/National Eye Institute and the Wisconsin Partnership Program. Her overall goal is to develop and test an adaptable implementation program to expand this technology statewide and nationally. By developing a successful implementation program, Liu’s research will help increase access to eye care in underserved rural populations, address healthcare disparities, and prevent vision loss from diabetic eye disease. This event was sponsored by a grant from Research to Prevent Blindness (RPB), a foundation that is seeking to preserve and restore vision by supporting research to develop treatments, preventives and cures for all conditions that damage and destroy sight. Oculoplastics fellowship graduates, physicians and friends came together September 30 – October 1 to celebrate major milestones in the history of the Department’s Oculoplastics Service. In 2016 an 18-year effort was culminated with the endowment of the Richard K. Dortzbach Professorship in Ophthalmic Facial Plastic Surgery. Only a handful of such endowed professorships in oculofacial surgery have been achieved nationwide. Also, 2017 marks the beginning of the 50th year of the Oculoplastics service at UW-Madison. Dr. Dortzbach returned to UW in 1968 from Birmingham, Alabama, to establish an oculoplastic service here after serving one of only three oculoplastics fellowships available nationwide. The Oculofacial Celebration officially launched with a scientific conference beginning with visiting professor, Dr. James Katowitz, Professor of Ophthalmology and Director, Oculoplastic and Orbital Surgery at the Children’s Hospital of Philadelphia, presenting “Balancing Function and Appearance: An Oculofacial Plastic Perspective.” Dr. Katowitz is recognized nationally and internationally for his expertise in pediatric oculoplastic surgery. The morning’s scientific meeting comprised case studies and presentations from former fellows and UW faculty. That afternoon at Lemke Facial Surgery, Dr. Deb Sherman led a state-of-the-art skills transfer program on facial fillers. Later, Dr. Lemke, who in 1998 initiated the campaign to endow the Dortzbach professorship, thanked the donors including former fellowship graduates, former patients and families and others who helped endow the professorship. Dr. Dortzbach entertained the audience, relating the development of the field of oculoplastic surgery after World War II and vignettes about his former fellows. Twenty prior UW oculoplastic fellows and friends of the Department attended the celebration. 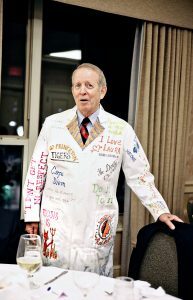 According to Dr. Mark Lucarelli, service director and the inaugural Dortzbach Professor, the remarkable participation in this celebration demonstrates the very special relationships within the White Coat Society. “Our history in ophthalmic plastic surgery has been truly extraordinary and we look forward to an equally bright future,” he said. “The resources available with the Dortzbach Professorship will help ensure that future.” “Dortz” thanked his friend and colleagues for honoring him, “It was perfect in every way, and I shall cherish the memories forever.” The evening ended on a lively note with Dr. Burkat leading a memorable Wisconsin version of Family Feud.